I’m not sure of the original source of this photo, but I want to thank reader Chris Walker for sending this to me. Thank you, Chris! I knew exactly the site of this pic only when I recognized the style of the, I think, Wilson Building. Definitely going west on Elm. See the signs: Palace Theater, Haverty’s Furniture, Butler Bros., Mangels, Wilson Bldg..Very familiar territory. 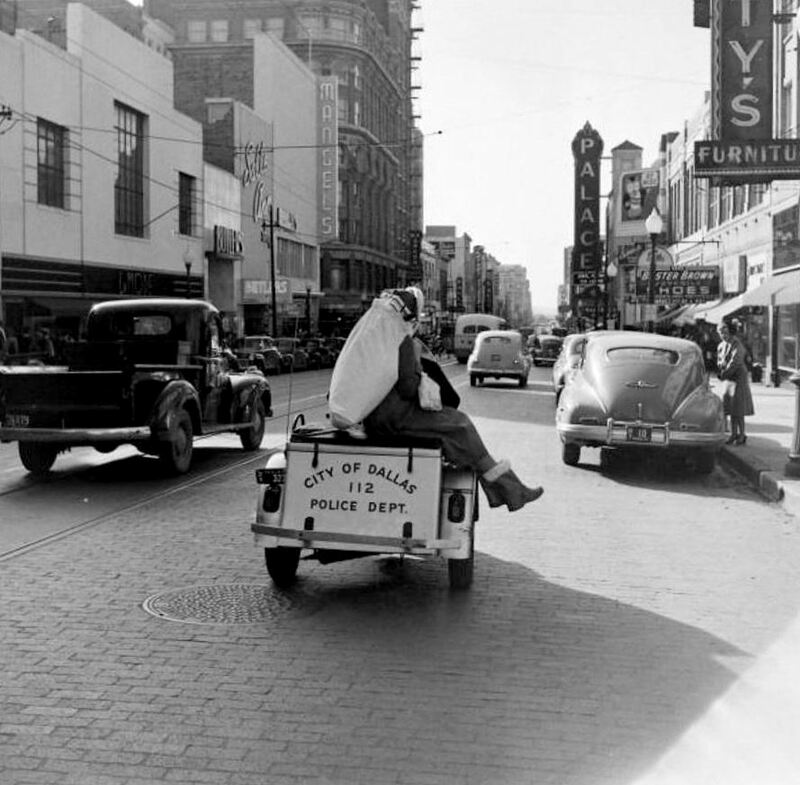 Don’t remember ever seeing Santa on a police vehicle, but I worked downtown in the 1950s and some in the 1960s. Elm looks great paved in bricks!!!! Dallas should go back to that! My crystal ball (and the old Texas license plate site) agree that the Buick parked at the curb is wearing a 1947 plate.